pay with userpoints instead of money. 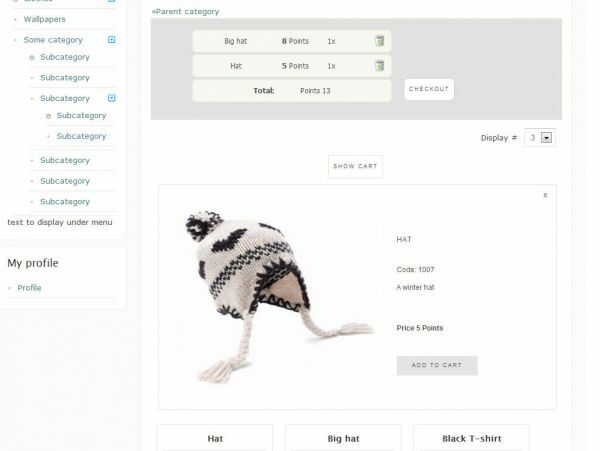 CW Eshop is build on MVC structure with implementation of AJAX and jQuery features. CW Eshop provides and e-commerce solution for JomSocial community. It offers common goods and also digital goods. 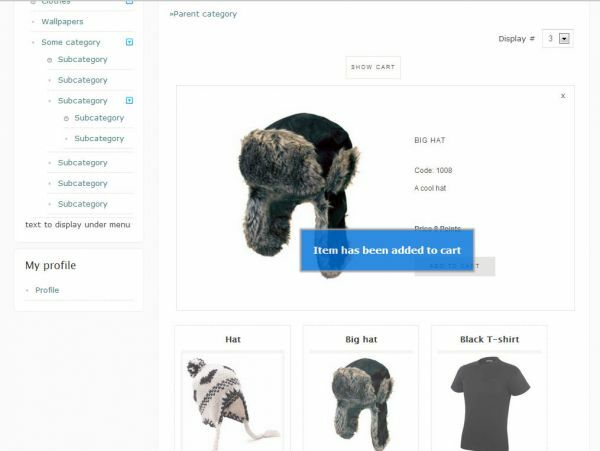 Logged users can choose items and add them to a cart. 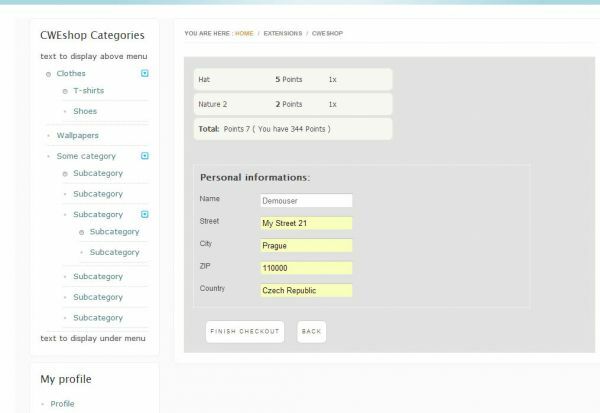 During checkout user can fill in his address (for case of common goods to be shipped). Instead of real money, users pay with their userpoints. 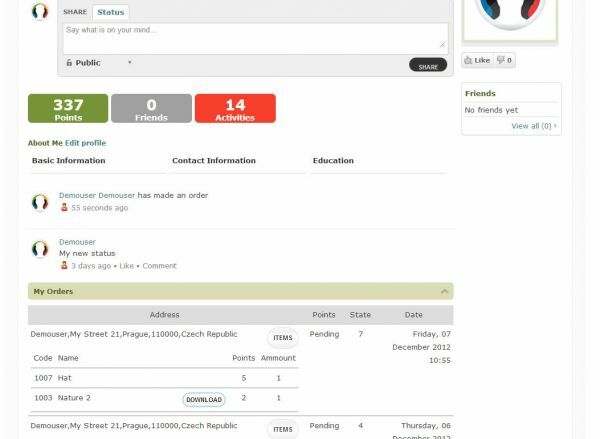 If user makes an order, a message is saved into JomSocial Activity Stream and userpoints taken. If user has ordered a digital goods - there is a link for download a file in order list. Using native Joomla ACL offers setting access permissions for eshop products to different usergroups and access levels.